Clay’s Sky Artis looks for an open teammate during a game against Notre Dame earlier this season. 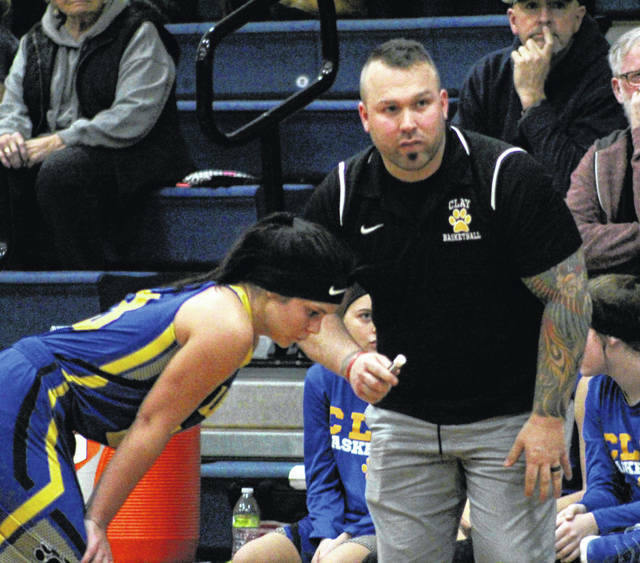 During every free throw attempt Clay receives, Panthers coach Scott Artis and his daughter Sky, the team’s point guard, have a conversation near the team’s bench. PORTSMOUTH — If you watch closely, during every one of Clay’s free throw attempts, senior point guard Sky Artis has a conversation with her dad, Scott. It’s not an off-court chat … Scott just happens to be Artis’ head coach as well and, whether it’d be his daughter or anyone else playing that position, those conversations would still take place. But make no mistake about it; they’re certainly a bit more special with Sky standing next to him. And, even though Scott has told Sky in the past that playing her position may not put the two in the best plausible situation sometimes as a father-daughter combo, Sky wouldn’t change it for the world. Before Sky entered high school, Scott had been her and her teammates’ head coach since their third grade year. When they became freshmen, that was no longer the case. When Scott was named as Clay’s newest coach during this past offseason, Sky and her teammates couldn’t have picked a better candidate themselves. And it’s not just his own daughter that likes playing for Scott. Her teammates share the same sentiments. The bond between Scott and Sky has always been better than good. Throughout Sky’s elementary and middle school years, her dad was right there to provide advice as a coach and support as a parent. Playing two different roles — especially two in the life of a student-athlete — can be tricky. But it’s a line Scott has toed for quite some time. Most of those car rides and bus trips have came during a time of success. 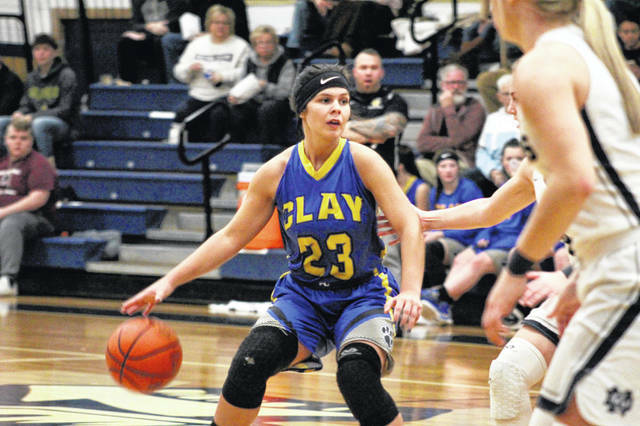 Clay’s senior class — consisting of Sky, Sophia Balestra, Cameron DeLotell, Hannah Pauley, and Jensen Warnock — have won a countless of number of games at each level they’ve played at. This year has been no different as the Panthers sit at 10-5 overall with a 7-2 mark in SOC I play. But wins and losses sometimes take a backseat to actually enjoying one last ride together as players and coach. Scott agrees which, like Sky said, usually happens. The next game, the next win and, of course, the next mid-free-throw-attempt discussion … before you know it, those will be things of the past. Scott and Sky are just looking to enjoy those little moments while they can. Reach Derrick Webb at (740) 353-3101, ext. 1930, by email at dwebb@aimmediamidwest.com or on Twitter @dw1509.